If you sell business-to-business, it's in your best interests to make every step of the purchase and checkout process as smooth and easy as possible. B2B buyers rely on a streamlined experience — that's why they prefer to make their purchases online in the first place. Keep in mind, too, that B2B buyers are often pressed for time and working within a strict budget, which makes it even more important to nurture the relationships you've formed with them. Think of it this way: if you're always looking for the best options, and in search of a better way to do business, then it stands to reason that your B2B customers are, too. One of the most effective ways you can simplify B2B purchasing is by implementing a quick order form that allows the buyer to skip some of the steps involved in shopping. Think for a moment of your own experiences placing a large order online. What takes the longest? By far, it will be the process of browsing products and adding them to your cart. Even if you already know exactly what to buy, it still takes time to find everything. 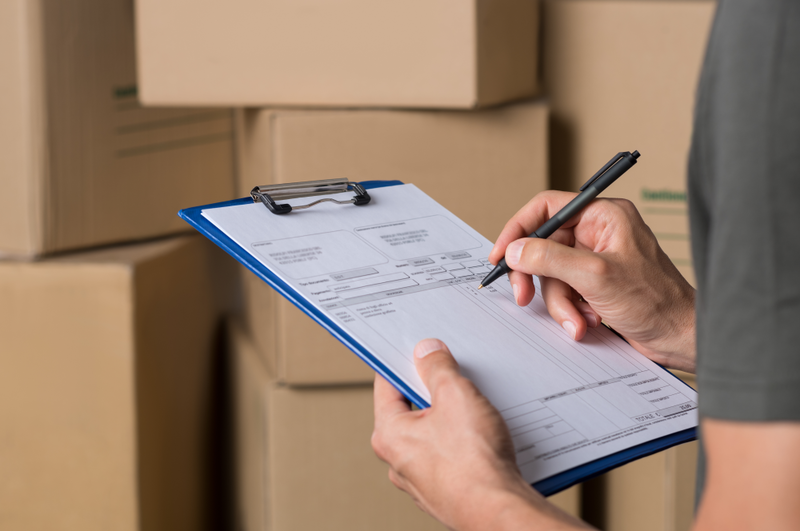 If you need to purchase specific quantities of certain items, it takes even longer. Yes, it may only take a few seconds to navigate to a product, enter a quantity into a box, and click Add to Cart. But those seconds really add up, and you can be sure that every second counts for a B2B buyer. This is where quick order functionality comes in. With a quick order form, you can eliminate your B2B customers' need to browse your online store to find their needed products. Instead, the buyer needs only to enter product numbers and quantities into a list, and then click once to add everything to their cart and proceed directly to checkout. This means that once a B2B buyer has determined what they want to purchase from your website, they never have to browse for items again. If you're using an eCommerce platform ideal for B2B, adding a quick order feature to your website could be very easy. 3dcart's Quick Order Pad app is a simple way to implement a quick order form that works as described above: text fields to enter product numbers and quantities, and a single button that adds everything to the buyer's cart and takes them to the checkout screen. For an even better B2B buyer experience, combine Quick Order Pad with FusioNBot, an advanced site searching tool. With this combination, the product number fields on Quick Order Pad will have a search-related capability to suggest products based on what the buyer types into the field. 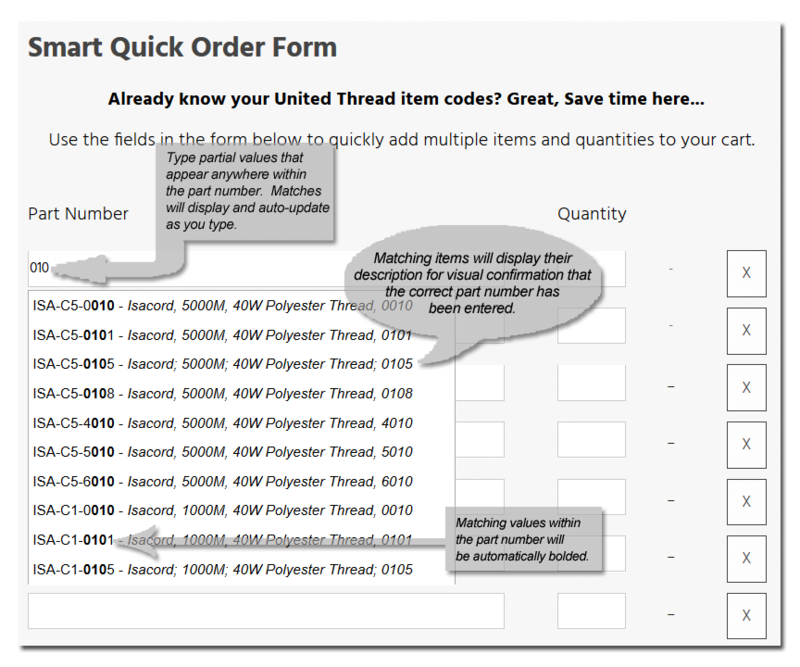 You can see this in action on United Thread's website — try typing the beginning of a part number that applies to one of their products, such as ISA, and a list of potential items appears for selection. With a setup like this, your online store will be primed for wholesale purchases, and provide the level of convenience B2B buyers rely on — which makes a huge difference in the highly-competitive world of B2B eCommerce. Need more B2B expertise on your side? Download our free ebook below.